Today we continue on with our Team Analysis series, brought to you by James Hosford and the states. Up now, New South Wales B! Haven’t heard of some of these names right? Don’t worry, there’s a couple we don’t know and we play with and against them! NSW B is back. The concept was inaugurated in 2016 before disappearing in 2017. It returns for 2018. Once again it has mutual benefit, filling our tournament numbers for QA while providing clear development pathways for NSW to test up and coming stars at the highest level. Add a sprinkling of sometimes undervalued veterans to lead this line-up and you have a curious mix with unlimited potential but many question marks. There are young players on this roster that some may either not know well or not rate highly, but who have the latent talent to become the absolute breakout stories of the tournament. Names like Usha Luckock, Cameron Walker, Sanju Vairav and Haydn Johansson in particular could be household in quidditch two weeks from now. But what does everyone have in common from this team? They didn’t make NSW A! In many cases, particular those of some more experienced players, some of whom have played at that level before, this would absolutely feel like a snub. That is where NSW B becomes a particularly juicy prospect, to see how such players respond to their place on this team. If the other thing the twenty-one on this team all share is a positive and forward-looking desire to prove themselves and work their way up to the top, then they will be dangerous. 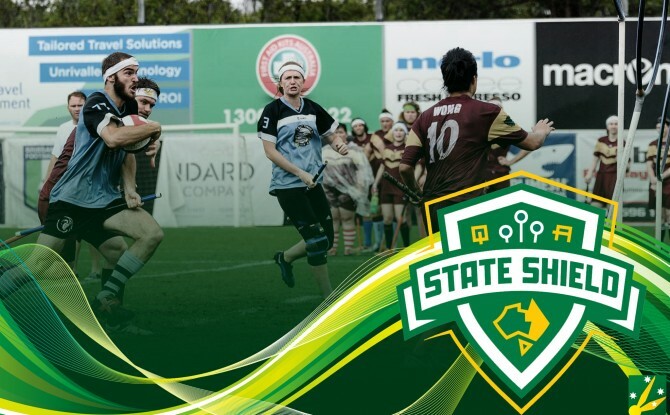 There’ll be no team more exciting to watch this State Shield than NSW B. They have so much untapped upside, the capacity to gel much better than teams and players more set in their ways, and so very much to approve. They are the ultimate unknown quantity. But will they have enough true quality to compete? That remains to be seen. All opinions expressed in this article are those of the individual writer and contributors and are not endorsed by Quidditch Australia.